A figure perhaps too often overlooked in competitive fighting is the third person in the ring, or in judo’s case, the third, fourth and fifth person on the mat. Referees are responsible for much more than casual observers may give them credit for. First, quite obviously, is that they are responsible for ensuring a fair competition between two fighters abiding by a set of rules. But it is in dissecting how referees go about doing their job where a more nuanced look at the art begins. A referee’s level of involvement in a match will often affect the overall flow of competition, which ultimately affects the action we view as spectators. In that regard, judo operates like any other living organism: every part, no matter how perceivably small, is necessary for its survival, and just as much as the players on the mat, referees are needed to make a competition possible. In judo culture, dojos are not only known for the accomplishments of their active players, but a certain level of prestige is also awarded to the number of high-ranking referees it can produce. It was in witnessing a congratulatory announcement of the referees at the Seattle Dojo that I became interested in understanding the makings of a judo referee, and how that process related, if at all, to the actual art being arbitrated. 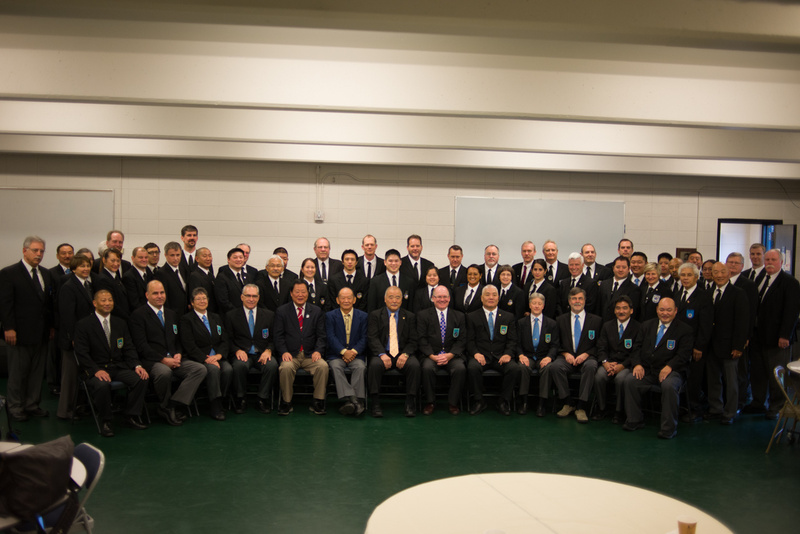 I choose to conduct research at the Continental Judo Crown, one of the biggest judo tournaments on the West Coast, and walk into a room with roughly 60 referees congregating before the event. That also means there are roughly 60 judo black belts present, as the first requirement in applying for an officiating position is that the applicant hold a black belt from a legitimate dojo. From there, the climb is akin to earning your place in a school; it can take decades to reach the top spot. During his time as an active player, Estevez also won gold at the Pan Americans in 1978 and 79’, and was a favorite to place in the 1980 Olympics had the United States not boycotted the event. Combined with his competitive years, his experience in the sport spans over four decades. Estevez is known as an ‘IJF-A’ referee, meaning he is at the top of the highest division of refereeing, and holds the only rank that allows Olympic-level officiating. Below that are ‘B’ and ‘C’ level designations that grant jurisdiction outside of the United States, but limited to the Pan-Americas. The distinction between the two is the level of importance that the event carries, and the many hours of studying and testing to graduate from one designation to the next. In order to arrive at any given rank, an aspiring referee has to put in considerable work at local events, working their way up to a national designation, taking a series of exams along the way. In other words, it takes a lot of time and dedication to become a referee. One can easily compare the rise in rank to that of graduating a belt color in any martial tradition that utilizes a belt system. A certain amount of time is required to move from one rank to the next, and the duration is mainly dependent on how much objective time you put into it. In other words, the more free time one has to dedicate to such a pursuit, the quicker they can reach the top, which often times is dependent on how one’s life is outside the dojo. 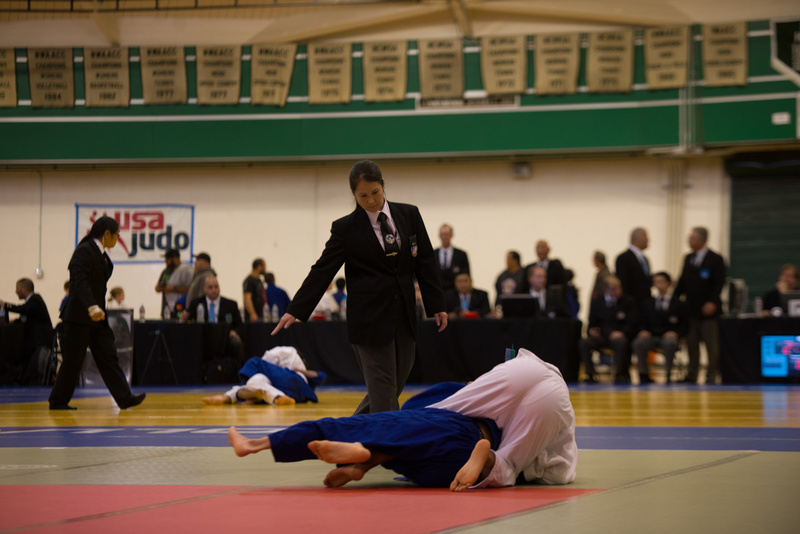 Judo referees will often refer to their job as an “amateur sport”, the term used mostly to reference that like amateur fighters, participation is done largely without compensation. In essence, referees are performing their service out of a love for the sport, and in large part that service is to protect the tradition by ensuring fair competition. However, one key difference to note between the two is that amateur competitors often participate free of charge in hopes of eventually landing a paid professional career, while referees seemingly commit for the duration of their time unpaid, and only top-tiered referees are funded with small stipends for travel expenses. 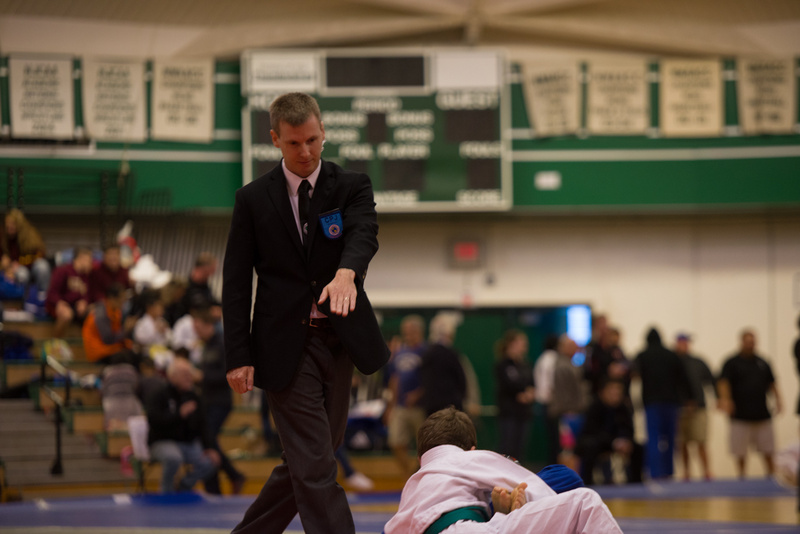 Pictured is PJF-C referee Brian Toth, one of the more predominate characters in the Northwest Judo scene. For Toth, the reasons for becoming a referee are two-fold. First is to give back to a community that has helped form much of his character today. Second is what he defines as a “selfish” motive, that being “having the best seat in the house to watch world class athletes battle it out.” For Terrada, the reasons go beyond the sport. Terrada grew up in a household headed by judo instructor father, and a Kodakan graduate mother who was taught by the famous Keiko Fukuda, the first female judoka to earn a 10th dan designation from the United States Judo Federation (Kodokan kept her at 9th dan). The two met at the Budokan Dojo in Seattle—the dojo where Terrada currently trains—so for him, involving himself in the refereeing world was like unraveling a family tree. That is not to say that refereeing doesn’t come without its downsides. In a close contest, those that disagree with the decision will often blame the referee for the outcome, citing a general incompetence, or in more extreme cases, corruption. This is in essence a commentary on all the hours of labor a referee has put into their craft, or in the latter case, a criticism that their character can be persuaded by money or other worldly favors. Such accusations or criticisms are not taken lightheartedly in the judo community, at least from what I gathered from all those I interviewed for this article. In fact, how one reacts to the feedback is in large part a reflection of their ability to perform the job. 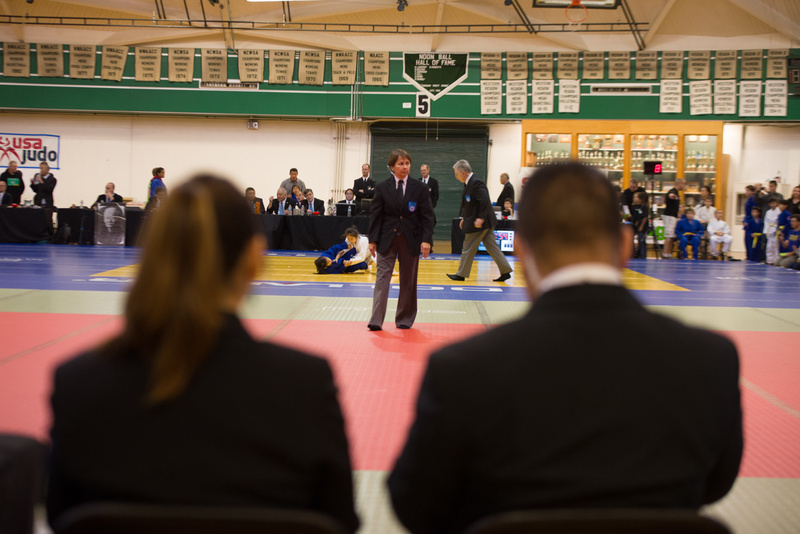 Calvin Terrada, the youngest IJF-A referee, looks on before the start of the tournament. On the other hand, one also cannot be too invested in the opinions of others. So much detail goes into judo (and perhaps even more in its officiating), that casual observers sometimes simply do not understand the intricacies of the art, and will often speak from a broad-stroked point of ignorance. If a referee dwelled on every piece of feedback given by the crowd, there wouldn’t be much focus left to finish the job at hand. In this sense, one can see much of the judoka training seep through. 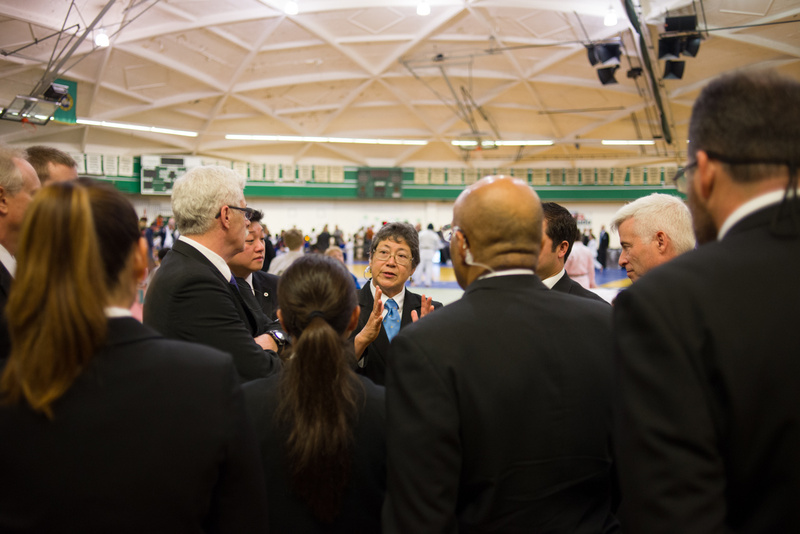 The first is the retention of humility that seemingly underlies the sport of judo. 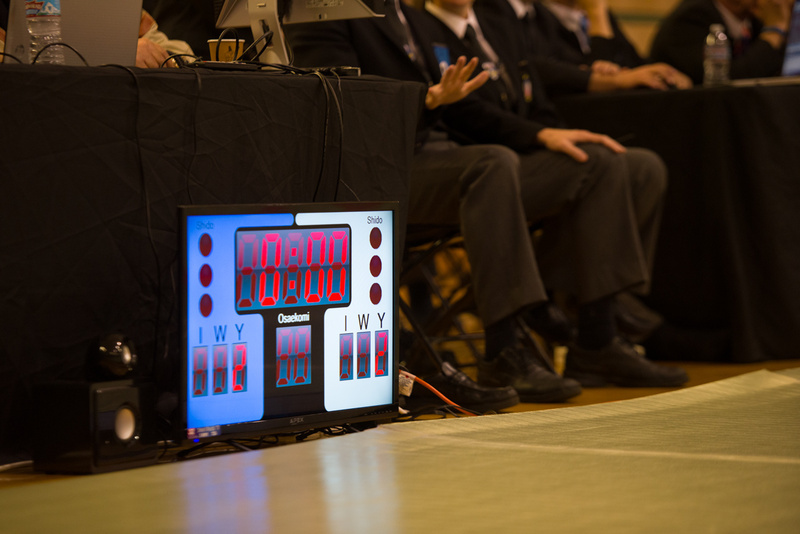 When speaking about their roles, referees will often refer to themselves as the least important figures on the mat – citing the players, the coaches, the families and even the casual spectators as having more importance. But when thinking about it objectively, judo referees are probably one of the most important components to having a match operate. They have to understand the thinking of all involved parties, and consider their perspective when making a critical decision. It is here that the lines between refereeing and actively playing judo become a bit blurred. For a referee, that “other information” could come in a form of their teammate chiming in on a move that they may have overlooked or misjudged. As mentioned earlier, all judo matches are staged with three referees—one in the center and two on the sidelines equipped with radios. In the past, all three officials once presided on the mat with one situated at two opposite corners, but the format has since changed due in large part to make the competition more aesthetically pleasing for television when there was talk about taking judo out of the Olympics. 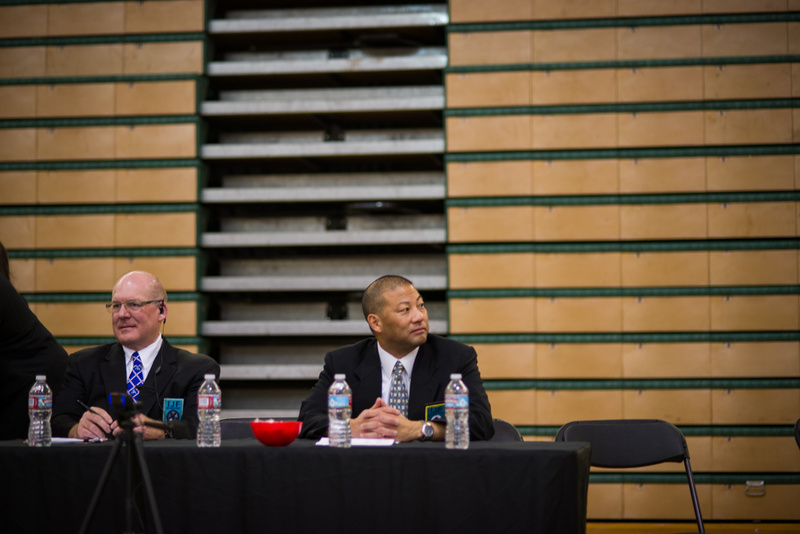 At the Crown Cup, there is the rare occurrence of an overstaff of referees, and therefore each official oversees only one or two matches before rotating back into a long line of chairs sitting along the sidelines. There is some jovial chatting amongst the off-duty refs and much of the atmosphere feels like a reunion of old friends, but there is also a stern focus on the live-matches happening on the mat, and those less experienced are taking note from those ahead of them on the path. With all that one invests to earn the position, it appears as a responsibility that can quickly become nerve wracking, but perhaps the most crucial part of it all is controlling those nerves, and learning from—not dwelling on—the mistakes of the past.